As the XIX International AIDS Conference draws to a close, I’d like to share some of the highlights from my week. On Monday, I went on an engagement tour to a local non-profit here in Washington, DC — Food & Friends. 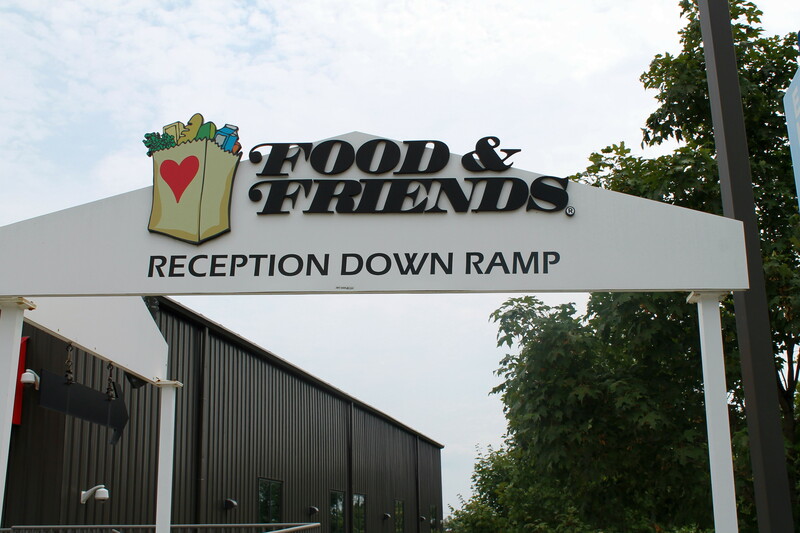 Food & Friends prepares and delivers specialized meals, groceries and nutrition counseling to nearly 3,000 clients living with AIDS, cancer or other life-threatening illnesses. Eligibility is entirely health-based, and in order to qualify for their services, an individual must have a primary qualifying illness, be nutritionally compromised and be unable to perform essential daily activities. What makes them unique is that the meals are individualized, based on the person’s illness, co-medical conditions such as diabetes or high blood pressure, and special diets such as vegetarian or gluten-free. With the help of over 12,000 volunteers, Food & Friends delivers over 1.2 million meals to people in DC, Virginia and Maryland annually. If I lived in the DC area, I’d definitely volunteer here. On Tuesday and Wednesday, I attended several special screenings associated with the AIDS 2012 Film Festival. 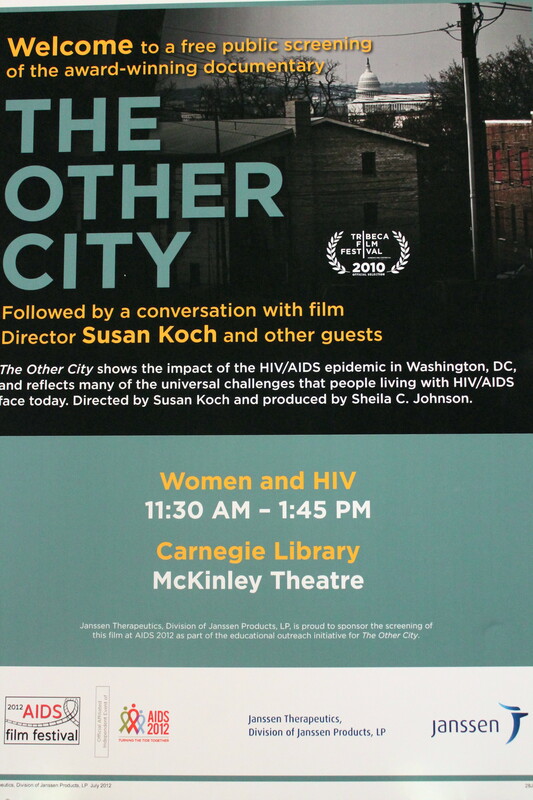 The Other City is a 2010 documentary about the HIV epidemic in Washington, DC. DC has one of the highest HIV rates in the United States, with over 3% of the total population infected with HIV. African-Americans and people living below the poverty line have been disproportionately affected. This powerful film introduces a number of “accidental activists” — people living with HIV in Washington, DC who were brave enough to share their personal stories with the world. There’s J’Mia Edwards, a young mother of 3 who is trying to secure housing for her family so that she does not end up homeless, but is informed of a 2-3 year waiting list everywhere she applies. There’s Jose Ramirez, a gay Latino activist who does education and outreach to Latino youth and immigrant communities, and Ron Daniels who operates needle exchange vans to public parks despite a federal ban on funding such programs. Also featured in the documentary is Joseph’s House hospice for homeless men and women dying from AIDS and cancer and a support group of formerly incarcerated men living with HIV. 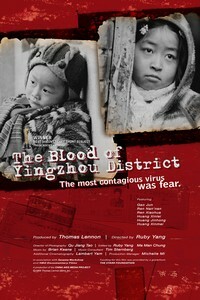 An equally tear-jerking, yet important film shown was The Blood of Yingzhou District, which won the 2006 Academy Award for Best Documentary Short Subject. This film follows the lives of AIDS orphans in a poor, rural village of China, some who are themselves living with HIV and others who have simply lost their parents to AIDS. It sheds light on the situation of people becoming infected through blood donation, and also the stigma that people living with or affected by HIV are facing. One of the saddest stories shown is that of Gao Jun (the young boy at the left in the poster). No one is really sure how old he is, and no one will really go near him because he is HIV-positive. He lives in a near-abandoned homestead and is looked after from a distance by an uncle, who fears the stigma from the community if he gets too close. Gao Jun’s malnourished belly is bigger than the rest of him, and he angrily broods around the compound, ostracized from all society. There’s also Nan Nan (pictured on right), who is fortunate to receive anti-retroviral drugs from a donor in the U.S. As her teenage sister prepares to marry, fear abounds that her soon-to-be husband will find out Nan Nan’s HIV-positive status and reject his bride-to-be. As my work in the HIV and AIDS field in recent months has focused on the Global Plan to Eliminate New HIV Infections in Children by 2015, I welcomed news that there has been nearly a 25 percent decrease in the number of children born with HIV over the past two years, although over 300,000 newborns were still infected. 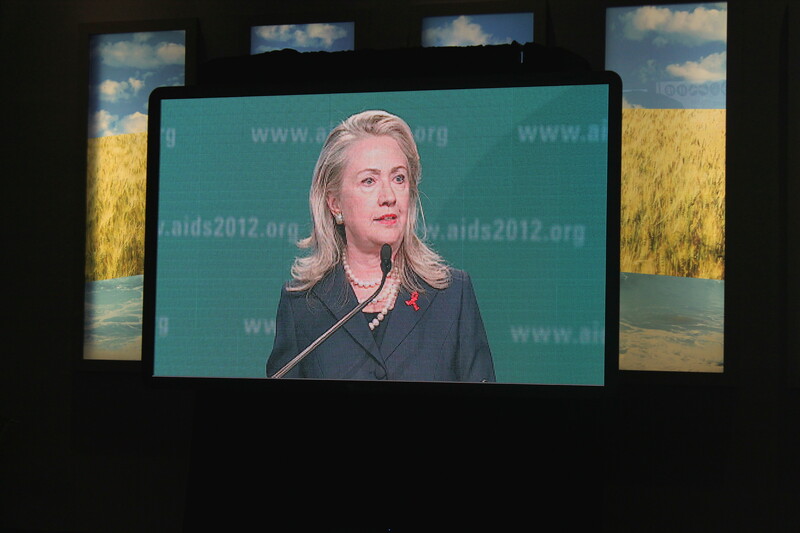 I was also pleased that Secretary of State Hillary Clinton mentioned in her plenary address the challenges that many women in rural areas of sub-Saharan Africa face in accessing transportation to visit antenatal clinics and to access services for preventing mother-to-child transmission of HIV, and the U.S. Government’s new commitment to providing mobile clinics as a way to overcome this challenge. She also pledged U.S. Governmental support for the Robert Carr Civil Society Networks Fund, which was formally launched at this conference but was in the early stages of discussion at a civil society networks meeting I attended in Amsterdam last year. 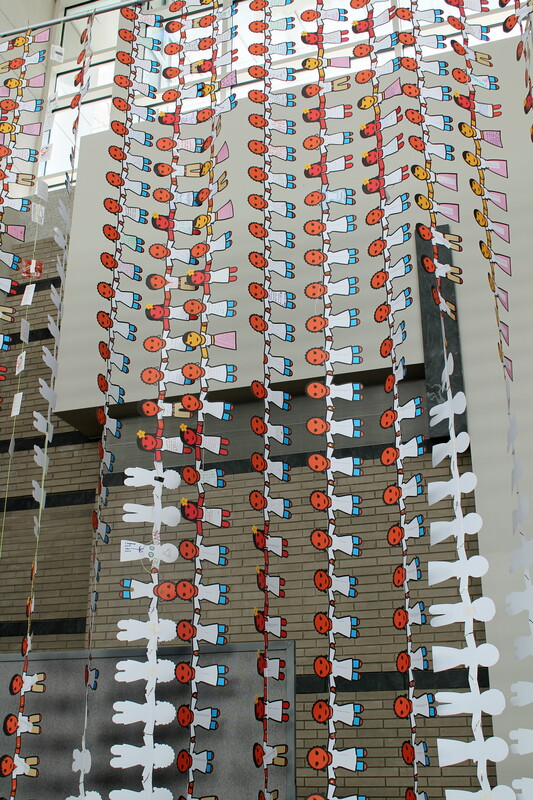 I contributed a small piece to this attempt to break the Guinness Book’s world record for longest chain of paper dolls. This is to raise awareness of the need for universal access to female condoms, especially in resource-limited settings and in communities hardest hit by HIV and AIDS. Male condoms (and to a lesser extent their female counterparts) were freely available by the bucket-load throughout the conference venue. And, of course, no AIDS conference is complete without the presence of people from a variety of life experiences and opinions making sure their voices are heard. 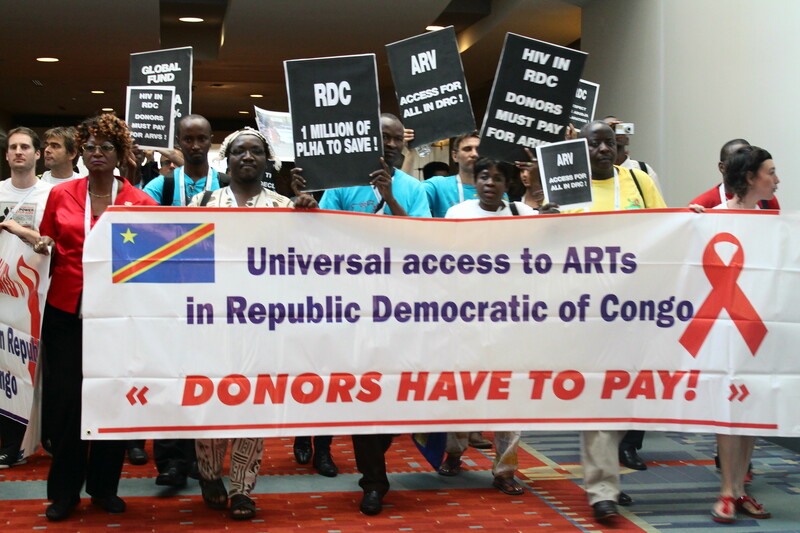 This entry was posted in Becky's Activism and tagged activism, AIDS, AIDS 2012, Condoms, documentaries, Hillary Clinton, HIV, International AIDS Conference, Washington DC. Bookmark the permalink. There was recently an episode of the PBS current events show “Frontline” that focused on the spread of HIV in the African American population. You might want to check it out.